In mathematics, a polynomial is an expression consisting of variables (or indeterminates) and coefficients, that involves only the operations of addition, subtraction, multiplication, and non-negative integer exponents. 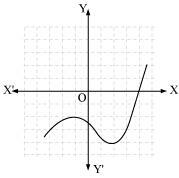 An example of a polynomial of a single indeterminate (or variable), x, is x2 - 4x + 7, which is a quadratic polynomial. 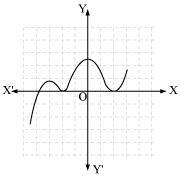 Polynomials appear in a wide variety of areas of mathematics and science. For example, they are used to form polynomial equations, which encode a wide range of problems, from elementary word problems to complicated problems in the sciences; they are used to define polynomial functions, which appear in settings ranging from basic chemistry and physics to economics and social science; they are used in calculus and numerical analysis to approximate other functions. In advanced mathematics, polynomials are used to construct polynomial rings and algebraic varieties, central concepts in algebra and algebraic geometry. 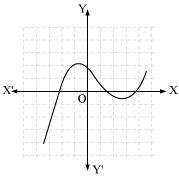 The graphs of y = p(x) are given in following figure, for some polynomials p(x). Find the number of zeroes of p(x), in each case. (i) The number of zeroes is 0 as the graph does not cut the x-axis at any point. (ii) The number of zeroes is 1 as the graph intersects the x-axis at only 1 point. (iii) The number of zeroes is 3 as the graph intersects the x-axis at 3 points. 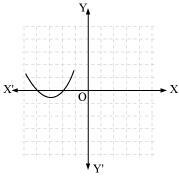 (iv) The number of zeroes is 2 as the graph intersects the x-axis at 2 points. 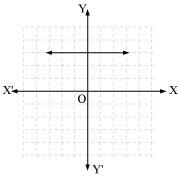 (v) The number of zeroes is 4 as the graph intersects the x-axis at 4 points. 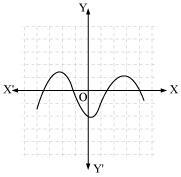 (vi) The number of zeroes is 3 as the graph intersects the x-axis at 3 points. Find the zeroes of the following quadratic polynomials and verify the relationship between the zeroes and the coefficients. Therefore, the zeroes of are 4 and - 2. Therefore, the zeroes of 4s2 - 4s + 1 are and . Therefore, the zeroes of 6x2 - 3 - 7x are . Therefore, the zeroes of 4u2 + 8u are 0 and - 2. Find a quadratic polynomial each with the given numbers as the sum and product of its zeroes respectively. Find a cubic polynomial with the sum, sum of the product of its zeroes taken two at a time, and the product of its zeroes as 2, - 7, - 14 respectively. Obtain all other zeroes of , if two of its zeroes are . On dividing by a polynomial g(x), the quotient and remainder were x - 2 and - 2x + 4, respectively. Find g(x). If the zeroes of polynomial are , find a and b. ]It two zeroes of the polynomial are , find other zeroes. If the polynomial is divided by another polynomial , the remainder comes out to be x + a, find k and a.
Maths : CBSE NCERT Exercise Solutions for Class 10th for Polynomials ( Exercise 2.1, 2.2, 2.3 2.4, 2.4 ) will be available online in PDF book form soon. The solutions are absolutely Free. Soon you will be able to download the solutions.